Germany’s largest theme park (and Europe’s second most visited after Disneyland Paris) is one of the country's top destinations. It is located in the southwest near Freiburg. Brimming with mini-foreign lands, children's rides, food and drink, and about a dozen hair-raising roller coasters, this park is fit for the whole family. The park covers 94 hectares and allows park-goers to experience 15 European countries in a day and over 23 hours of shows every day. It can accommodate roughly 50,000 visitors a day - about 4.5 million visitors a year. Clearly, it is a favorite. 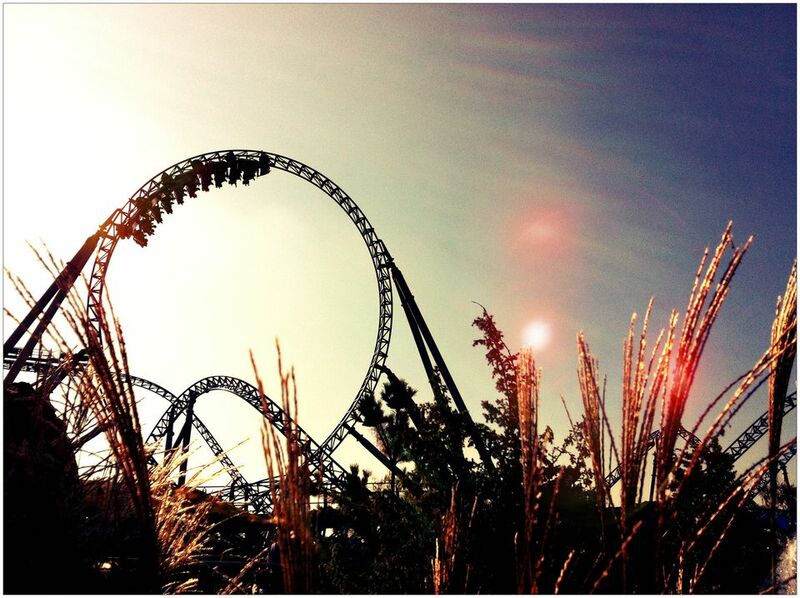 Discover the best things to do in Germany's largest amusement park. The summer season runs from March 24th, 2018 to November 4th, 2018 from 9:00 to at least 18:00. During this period, water rides are splashing out and there is a diverse program of summer-themed shows. Expect lots of sun, but also stay up-to-date on the latest weather reports as conditions in Germany can change quickly. When the sun is shining, keep it German-style by visiting the Erdinger Beer Garden. Or catch the daily Party Parade with live music, costumes, and fantastic choreography. The new musical, "Rulantica", tells the love story of a boy named Fin and a mermaid named Kailini. Or reach top thrills with the CanCan roller coaster, the Eurosat, in the French area. The winter season runs from November 24th, 2018 to January 6th, 2019 from 11:00 until 19:00. (Note that the park is closed around Christmas on December 24th & 25th). During the chilly season, some of the attractions are closed but other winter-themed activities and shows are open. This season features ice shows, 30 ice sculptures, twinkling lights, and 2,500 local Christmas trees. Understandably, the Icelandic area is featured with the ice rink, a children's ski school, and even a condensed cross-country ski course. And just like everywhere else in Germany, there is a ChristmasMarket at the foot of Balthasar Castle Park. Warm up in the Urweisse Hütt’n with cheese fondue and live Swiss folk music or go to Spain for feliz Navidad. Also in this season, don't miss the Halloween activities with over 180,000 pumpkins and Grimms’ Enchanted Forest. There is also a Halloween show and parade. Like the other mouse-mascoted theme park, there are several hotels on the grounds. Along with the obvious benefit of being located within walking distance of the park, hotel guests can enter the park 30 minutes to an hour early depending on the season. Bell Rock - Based on charming New England (USA) architecture. Colosseo - Presents the beauty of Italy complete with spas and restaurants. Santa Isabel - The comforts and conveniences of a modern hotel in the style of a Portuguese monastery. Castillo Alcazar - An eye-catching hotel showcasing the Middle Ages. El Andaluz - Enjoy the elegance of Spain. The Guesthouse “Circus Rolando“ - Located on the main the “German Alley“, this site offers discount rooms in the heart of Europa-Park. Camp Resort - It's a Wild West holiday fit for families, school outings or nature-lovers. Accommodations range from covered wagons to teepees. All hotels are 4-star and start at €76 per night, per adult in a double room. Hotels are open throughout the year, regardless of the park's season. Europa-Park is located in small-town Rust. In response to the park, there are many hotels as well as homes have opened small B&Bs (Pensions). These rooms are usually inexpensive, clean and offer a personable manager. Nearby Ringsheim is another option as it offers low prices and a location within walking distance to the nearest train station. There is a free shuttle bus (Südbadenbus) from Ringsheim straight to Europa-Park. The nearest train station is Ringsheim. There are Deutsche-Bahn “Europa-Park Kombi-Tickets“ and visitors can buy entrance tickets directly from DB vending machines. Arrival from the north: Take the autobahn A5 toward Basel. Leave at Rust (57b) exit, and a feeder road will take you straight to Europa-Park. Arrival from the south: Take the autobahn A5 toward Karlsruhe/Frankfurt. Leave at Rust (57b) exit, and a feeder road will take you straight to Europa-Park. Parking costs €6 (free for hotel guests).